First, I want to thank all of the Sign Syndicate Members chose to support this site by upgrading their free membership to that of a Board Patron. We really appreciate it! 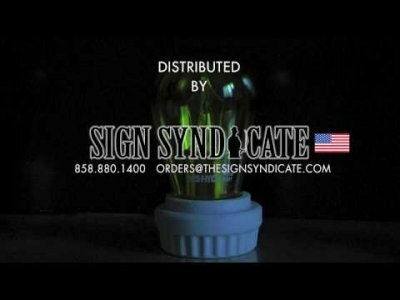 Third, as a Board Patron you will get discounts on most products on our Online Store: http://www.thesignsyndicate.com/forums/index.php?/store/ However, I just noticed a lot of those discounts disappeared from the recent site upgrade. So I'll be working on getting those back up in the next day or two, I have to do it all manually. Create Signatures that are viewable with each post you make on The Sign Syndicate. You can be allowed to upload a gif or jpeg image, ad a link to your signature than can be seen in every post you make to topics. Thank you again for your support of The Sign Syndicate as well as the Electric Sign Community! The Specials (some include free shipping) and reduced costs on selected electrical sign supplies that we stock continue even after Christmas when you're a Board Patron or National Patron. A lot of items are already reduced when you log in and you're an upgraded member. You might not notice the pricing unless you log out, then log in. You will see that the shopping cart prices are reduced when you log in. Just another reason to upgrade your free membership to a Board Patron or National Patron. You support us, we'll have your back so you can compete better in the marketplace! More specials and deals to come! We've made some changes when it comes to membership. There are now two groups of Supp/Mfg./Assoc members, I & II. I is for the business's that make under $2million in annual sales, II makes over. When they choose to upgrade their membership to a Board Vendor they are also broken up into I & II. Reason being is smaller vendors don't have their light sources in the light sources test comparisons. For the $350 a year as it was, it's too time consuming and costly for me to build out three or four compartments in the tests, the cost of operation for those tests and the time it takes to rotate the advert banners in the newsletters every week etc. The Supp/Mfg/Assoc members that make $2m+ are now $500 and $475 to renew annually. This is still a far much lower cost and better deal than joining an Association at $1,000 which comes with no real perks or advertisng unless you spend more, or paying for one issue of adverting of $10,000 for one single page in one single issue of a trade magazine. The adverting perks that come with the membership like the weekly newsletter banners that are a whopping 150x700 horizontal banner, and the three month rotating board vendor banner, and the affiliate banner seeing that the footer of the board has a much larger advantage. Also a new class is the National/Service Co members, these are the same as a Board Member, just a little different, they can't view or access the National Sign & Service Co Review List. Reason being, so they can't skew polls or their own listings. They can access this area when they choose to support this board and upgrade their membership to a National Patron which will give them access. This new Patron membership will have the same perks as a Board Patron but a few more. If their one of the Nationals that have a high rating on the board (Good relations / Pay on time) we will post openly in weekly newsletters and on the front page of this website the best National Sign & Service Companies to work for. November Video Update we are having a short term membership upgrade special if you would like to jump in and observe the light testing as a Board Patron (Custom sign shop only) that we have been doing since 2008, or Join in with your products as a Board Vendor (Manufacturer/Supplier). Each membership is annual and comes with a reduced renewal rate. - This month we dropped a major manufacturer and added a whole bunch of Board Vendors LEDs. 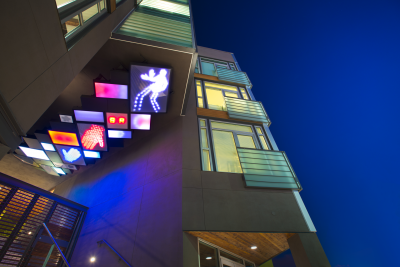 International Light Technologies, Lumitext's LumiString, EGL's Veritas, and Ventex's slimline. Also adding as a Non-Willing participant, SloanLED's "Value Plus, and V-180 series"
- Interesting results this month. Maybe to be expected and not to be expected? I think we have to keep a close on this test. I want to take the time right now and thank our Board Patron's who continue to help support this site by renewing their Board Patron membership and some who continue in advertising. There are quite a few of you and below are the most recent, some are new Board Patrons for the first time. You members help in continuing the testing we do here for those 5 projects that we have running 20 hours a day and make the site possible on a daily basis. From Kirstie and myself, thank you!